This Portuguese wine tour adds a cultural element to your itinerary with stops at the Palmela Castle and a tile-making factory, giving you a sense of the traditions and stories behind famous Setubal region wines. Tastings at a 200-year-old winery are included, and you make a stop for lunch at a spot that highlights local flavors. 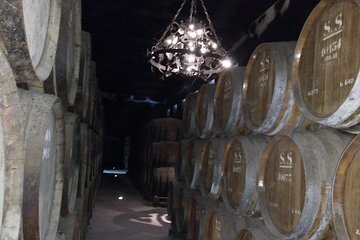 Setúbal Wine Tour can be done in English, Spanish, Russian and Portuguese. Requires a minimum of 2 persons per booking.